A strong chemical bond formed when atoms share pairs of electrons, forming molecules. 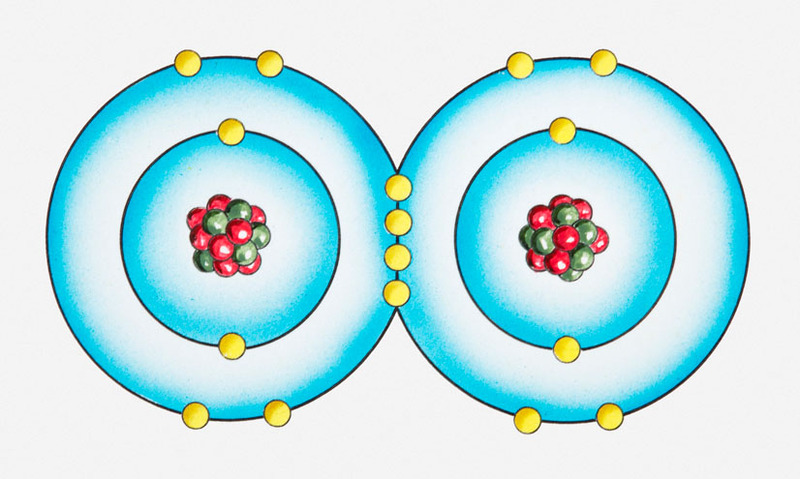 A strong chemical bond formed when atoms share pairs of electrons, forming molecules. Each shared pair of electrons creates a covalent bond. Covalent double or triple bonds form when two or three pairs of electrons are shared. Covalent bonds typically form between the atoms of non-metals, which need to gain electrons to obtain a full outer shell. Each shared pair of electrons creates a covalent bond. Covalent double or triple bonds form when two or three pairs of electrons are shared. Covalent bonds typically form between the atoms of non-metals, which need to gain electrons to obtain a full outer shell.